Back in June, 2014, I attended a Fresh Ink Theatre Company First Look reading of Walt McGough’s new play, Chalk. I was sitting in the Factory Theatre (RIP) Community Room, and found myself drawn in to this tale of quiet post-apocalyptic dread and uncertainty. 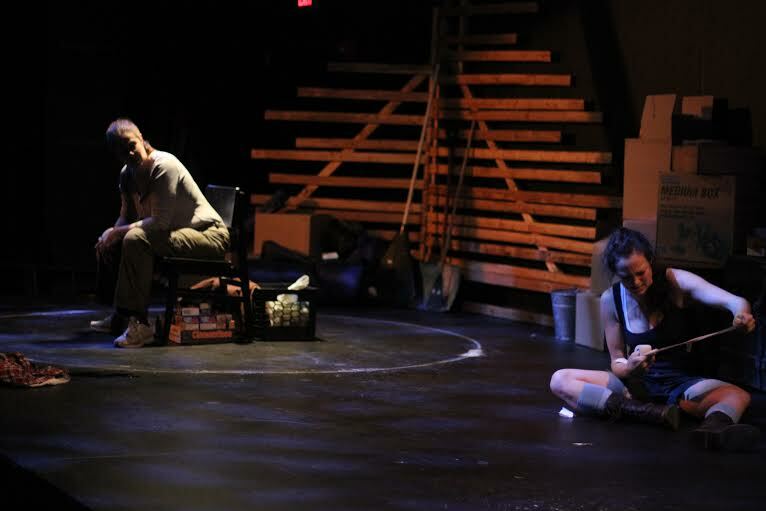 Even as a reading, the play’s underlying themes, its dialogue, and the performative talents of the two readers made me drop my hackles, raised at the sight of yet another theatrical tale about the end of the world. I vowed that I would see the show when it opened in January, 2015. Tonight, the production will open at the Boston Playwrights’ Theatre (which generously offered its space to Fresh Ink after the Factory Theatre promptly closed its doors last fall). It is directed by the lovely Sarah Gazdowicz (the main reason I won’t be reviewing the play, and will just enjoy it from the audience), and performed by Christine Power and Caroline Rose Markham. 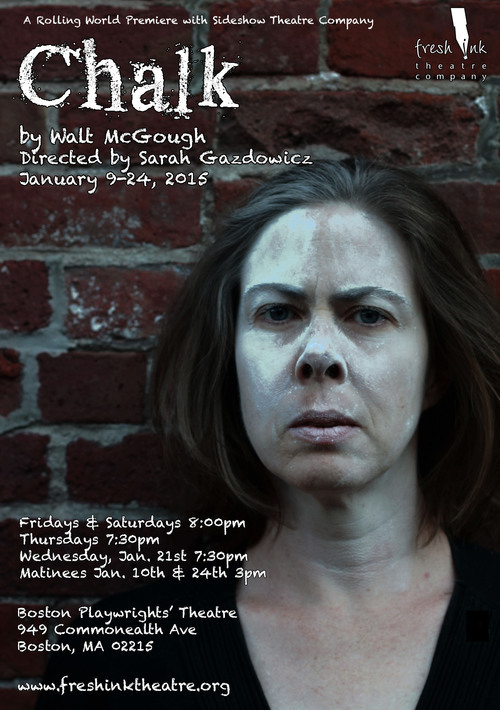 This entry was posted in Boston, Theatre and tagged Boston Playwrights' Theatre, Boston Theater, Caroline Rose Markham, Chalk, Christine Power, Fresh Ink Theatre, Louise Hamill, Sarah Gazdowicz, Walt McGough. Bookmark the permalink.